Mordirith's throne, taken over by the turtles. Castle of Carn Dum is conquered! We've helped Elladan and Elrond scout for the missing Black Rider - it took us all the way into the woods with Legolas and fights with a band of giant wood trolls. We're currently at level 35, and Book 5 doesn't start until level 37 (level 42, like the band). The logical move would be to go to the Misty Mountains - but the problem there is that most quests also doesn't start until level 37. So Bera's proposal is that for the next 2 levels we attack Annuminas - and maybe Fornost as well - trying to get our hands on how to handle the instances a bit more. It's going to be a lot of fun! Welcome to Imladris, Berawena. It is good that you have come. Rest well, but not too deeply or too long! We have need of adventuring folk, for there is evil beyond the vale. 'Not more than two months ago, a hobbit by the name of Frodo Baggins and his companions were pursued to the Ford of Bruinen by servants of the Enemy. I speak of the Nine, the Nazgûl, fell creatures in the service of Sauron, and though the Bruinen fell upon them at my command, we have found the steeds of only eight. One of the Riders is unaccounted for. 'My sons set forth with scouts bound to them by friendship to seek this missing Rider. I ask that you speak with Elladan at their camp of Thorenhad, among the Bruinen Gorges, and lend your aid to the search. We must learn where this Nazgûl has gone, and most importantly, his designs. So said Elrond - it is time we go searching for this rider! First session Wednesday, Sep 30. 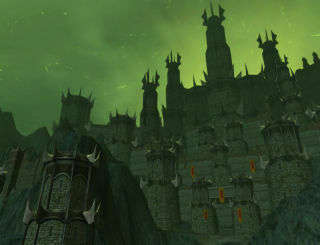 In the fall season, Berawena will focus on the Epic Quests, getting us forward in that great trip to Angmar. We've come a long way gathering the Council of the North to counter the massive orc and goblin armies of Angmar, and we've helped Radagast in the Lone Lands find out more about Ivar and the Red Maid, who threatens the Free Peoples from the East. But now, Aragorn the Ranger has sent us traveling to Evendim and the old city of Annúminas to help him mend the blade that was broken - none other than the sword Narsil, that cut off the ring from Sauron's hand (if the stories are to be believed). People are going to be on holidays and stuff coming up shortly, so a lot of this is flexible. If we have only a few people on we might just do quests in the appropriate areas, if there are more we can try fellowship stuff. In August we plan to be level 32 which means we'll be starting Book 4 of the epic quests - and we'll also be able to return to Garth Agarwen and finally make a dent in that Barkgrim's bark. Book 4 mostly takes place in the Trollshaws and concerns the hunt for a nazgul!